I love my children. But sometimes I seem to stop loving them so unconditionally or looking at them through this (rightly!) blurred vision of a parent when there are other people around. I notice myself thinking: “Oh why is he doing this/behaving that way?”. Whenever there are other people around, my children seem to become these total strangers that I suddenly feel ashamed of. What’s going on? First of all, they are so easily excitable by visitors and then act in a way that I often find so hard to tolerate. I hear myself saying “oh they are very excited” to excuse them (and let’s be honest: try and convince my guests that really it’s not my fault they are like that!). The other day our landlady came around and my four year old was hiding behind me (which he REALLY! never does), the seven year old was whizzing around as if he hadn’t had been outside for days and was on a sugar high (REALLY not true!). Immediately, I felt judged “she will think my kids are not social/behaving oddly/need more parental input/stimulation/less sugar. AND, maybe worst of all: “he is not ‘up to it’ as a dad). I think as a parent we often feel that we are judged as people by how our children look or act. So, we try and make them do things we wouldn’t ever do at home or even think are stupid to ask of them anyway. To my six month old baby I hear myself saying “be gentle” and anxiously wonder whether she will be an aggressive child because she is playing with another baby in a way a six month old baby does (poking at eyes, pulling feet, scratching…). Later I can laugh about how my own thinking is influenced by the fact another parent is watching. Of course, she will learn that we are gentle with each other, simply because she sees us being that way with one another. And, of course, I should not judge her for being the way she is: just a normal six month old baby. I remember with shame those days I tried to get my two year old son to share. Just because it made me feel better in front of the other parents present. Even though I knew he wasn’t able to understand that concept yet at all. His needs suddenly became less important than other children’s needs. Putting other people’s needs first (and sometimes up to an unhealthy degree) is what we adults can do, but we cannot expect that of a small child. Even though I knew that at the time the need to fit in and be accepted as a father by other parents was so great, that I wouldn’t stop myself and just say “sorry, I think my child isn’t ready to share this yet” and stand up for him. Secondly, they just adapt to other people, like I do. I need to accept they will take on a different persona when they are with certain people. One of my sons will sometimes just not answer people. So, if he is asked a question, he often stays quiet. I used to feel very ashamed that I still had to talk for him, way past the toddler years. Now, I mostly try and stay calm inside and accept it. He is old enough for us to talk about that and I tell him the impression that his behaviour might have on other people but ultimately I feel it’s his decision. I cannot make him do things, that would also go totally against our parenting philosophy. So, I will have to accept that side of him and free myself from making judgments. Tirelessly I will reject labels such as “oh he is shy/ introvert” because I don’t think they are true. He is perceived like that in this situation, but it is not a true description of his character. At home or with a different set of people he will talk non-stop and wouldn’t dream of not answering. And when I think about it I know that I am the same. It is mostly hidden though, because I am an adult and have learnt to act differently to how I feel, but it still comes through. There are several “personas” in me for different people. I will feel more relaxed with my family and that means act and talk in a different way. Our children are the best they can be in any situation. If they behave in a way we would like to change, then they are actually diverting our attention to a need of theirs that needs addressing by us! Not because they are “naughty”. So, if they act ‘impolite’, they might feel insecure or simply don’t know what to say. We can help them out, it’s ok, whatever their age. I am working hard at being proud of who they are despite of how they are. I also, as my children get older, understand that they are not me, and are walking their own paths that have, in some respect, nothing to do with me. I am guiding them, but I don’t have control over their every step and they will make decisions that I might consider wrong, it’s not always to do with me. I am working hard at being a better parent – yes, I’m talking about the best person I am possibly capable of becoming. That also means in becoming immune to other people’s judgments. This goes along with my own seeking not to judge others and becoming more compassionate. Towards myself and others. There is always a reason we and others behave the way we do and by loving my kids unconditionally I show them that it really doesn’t matter if they take up roles sometimes (as long as they do it intentionally and happily) or act out their emotions (which I sometimes, secretly, wish they would hide) and hopefully they will grow up self-confident and compassionate towards others and themselves, instead of worrying what other people think. So, am I a good parent? The only people I will grant judgement of that are my children. The older they get, the more I have to face their irritated looks when I, again, have chosen the wrong tone ‘Daddy, you really don’t need to shout’ or come up with a stupid ‘rule’ and their reply is ‘Daddy, I can do that, it’s ok, really’. 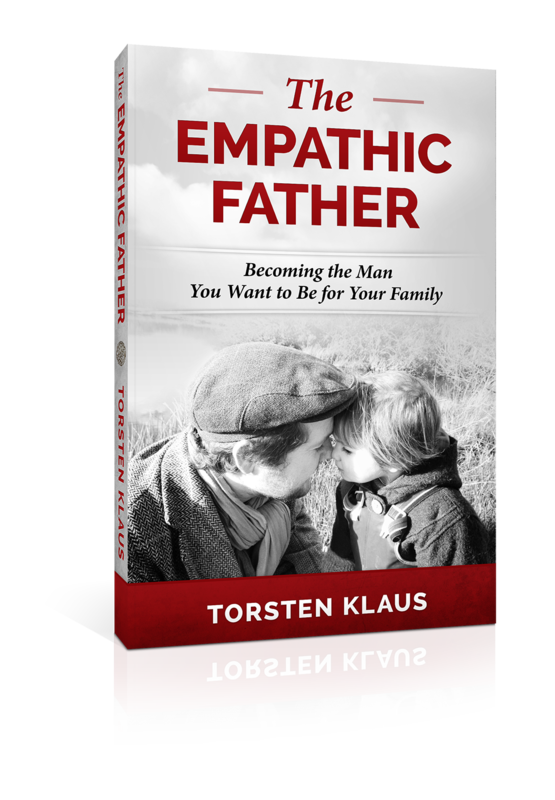 Categories: Parenting and Empathic Fathers, Society | Tags: am i a good parent, attachment parenting, empathic fathers, empathy, fathers, feeling judged, gentle parenting, good parent, modern dad, peaceful parenting, Torsten Klaus, unconditional parenting | Permalink. When I became a father I was full of excitement, joy and happiness. My wife and I felt well prepared as we had read dozens (it felt even more) of parenting books, we went to two antenatal courses, and we took every opportunity to sit on the sofa and chat about our baby. I hoped this would make me into one of those super-dads (because actually I was quite apprehensive about having a son and all that this might bring up, at first)! From pre-baby time it was clear to us that we believe in attachment parenting, co-sleeping, feeding on demand and unconditional love. I always imagined me to be a gentle, relaxed and easy-going father. Today, seven years later, I can say that I have achieved some of that gentleness and peacefulness. But it was a long journey and I’m still on it. When you believe mainstream media, it often seems harder for men to be a great parent. Too often dads are being pictured as the workaholic money machine with no or little interest in his offspring. Is that just a stereotype or a real problem? When comparing figures, one can definitely see that more women care for their children full time or working in part time jobs to spend more time with their kids, than men. Not all fathers take time off work when their baby is born. There are various reasons for this I believe. One of the main reasons is the lack of positive male role models, taking on an active role within the family. When I was a teenager I probably considered myself as a nice, friendly and gentle person. But, after a lot of reflecting, I now would say that I couldn’t communicate very well. I did hurt other people’s feelings and I sometimes was very mean as I couldn’t deal with my emotions and feelings. Why is that? I had never learnt to talk about them. Not to my father or another man. I had some very good female friends and it always seemed easier talking to them. I felt heard and listened to; they took me seriously. Still, something was missing. The search for men who really can open up is not unusual for boys, young men and the older generations as well. I was lucky enough to meet one man (it’s always that one person who can change your life) who I met in my early twenties. He touched my soul and opened my heart. He let me cry and held me tight. For the first time I discovered some genuine, true closeness and real manhood. No games, no masks, no pretending. I could be myself. From then on I could start my personal journey in becoming a better man, and yes, a better father. To me being better means more authentic, more empathic, more myself. To stop playing a role in order to find appreciation. To stop strengthening myself at the expenses of others. To be confident and clear, without upgrading my ego all the time. Being masculine is all about hyper-competition, being super-hero-hard and strong. Men are labelled (and often it’s true) with exactly those attributes. And that’s the second key problem: our society. How can we expect gentle and empathic men when we already start treating boys as the stronger gender? Boys don’t cry, they are the emotionless super-heroes, they should “man up”, and certainly they should not play with girls (toys) or dollies. “Their” toys are action figures, fast cars, modern day heroes (fire fighters, police men), monsters, toy weapons and the like. The same stereotypes get applied to them when they turn into men: They are expected to have a lucrative and prestigious career. Men are strong leaders who will govern countries from behind their desks, go to war for our western ideologies, and they… well, they just save the planet. Right? Yes, I know, in many ways things have changed. More and more men decide to put their families first, take longer paternity leave or even consider working part time to spend greater chunks of time with their families. (And obviously there are women now who are filling these traditional “male careers”). There is a shift in society, away from the ego-driven hard men to “new” men who believe in equality and mutual respect. But it’s still a very long way to go and a minority of men feel able to (or want to commit to) a more active role in family life. When I stayed at home to look after our children for about two years, I painfully realised how alone I can feel. Don’t get me wrong. I made many female friends, mainly stay-at-home mums. I very much appreciated their company and I had a great time being at home with our kids. But I also longed for some other men and fathers; to share the experience and to see how they cope and feel. I also think it would do many men good to experience this role of full time carer (even if only for a few days a week); it certainly got me more connected to how I want to be and less focused on outside pressures. Especially that time as a stay-at-home dad made me realise how important it is for me to give my sons a better start into the beauty and chaos of life. They don’t need a super-dad I pictured to be, but someone real, someone authentic, someone they can trust and talk to. A male person (or preferably a few) who loves them unconditionally – who has (lots of) time for them! As a start I looked at the way I communicated with my sons: Am I really listening to them? Do I judge them? Are there any pre-conceived ideas I have about how they “ought” to be (because they are boys)? Will they feel respected and loved when I say x, y or z to them/are my actions communicating my love for them? I also introduced an evening-check-in with my eldest son, who was 5 years old by then. When we are cuddled up in bed and have finished our night time story, we do a ‘check-in’. 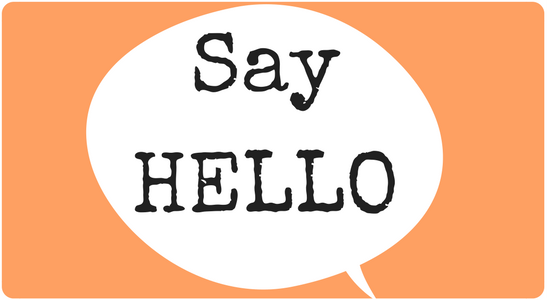 I normally start off by talking about my day, what I liked and disliked, things which made me happy or sad. I really try to name my feelings. Nothing needs to be covered. Equally important in our talks is being honest. Bloody honest. That includes to apologise. (That’s another thing many men struggle with. I can’t remember that my dad had ever apologised for anything.) I want my boys to see that I make mistakes. I mess up, I say things I don’t mean to say, I lose my patience, I’m unfair. That’s ok, as long as I do the aftermath: reconnecting and apologising. And, yes, kids are so great in forgiving. The just-before-bedtime-talk is a win-win for my son and me. This way I learn about what’s going on inside him and he sees how I talk about emotions and feelings, that I take responsibility for them and reflect on my actions and words. Start those talks asap. And carry on. Don’t stop when they turn teenagers. Especially then they need you and your open ear more than you might think. I also notice how the culture we live in influences our sons. The other day on our walk through the local park, we watched a soccer match of 9-year-old boys. For many boys sport is an extremely important activity in their life (obviously same applies to girls). As we watched the game my boys and I observed those boys swear, shout, spit, push and make a fall look dramatically heroic (probably copying their professional counterparts). It left all three of us baffled by how much they seem to be putting on adult behaviour. It was difficult to explain why they were shouting so much and hurting each other, well it was nearly impossible. Equally, to make sense of parents on both sides shout and scream their heads off, in quite an aggressive manner. Sports are naturally good for physical health, but what about emotional health? What is it we are teaching boys here? What is competition, pressure, fear to fail doing to our children’s emotional development? One could argue it prepares them for the “hard” world out there, where being ambitious and competitive is valued highly. While I am all for having determination when you really want to achieve something, I believe getting to your aim without making others fail along the way, is preferable. Don’t get me wrong, not all kinds of sports work like that, but definitely most competitive ones. The game, the joy, the fun and a good team spirit should guide our sons games. In fairness, whether they lose or win (does it always have to be one or the other?) I am confident there are teams out there, who are achieving this, we need more of them! I want my sons to grow up to become gentle, empathic and kind men. Men who love and respect their partner and children. Men who treat other women, men and transgender with tolerance and kindness. Men who can listen and reflect before they speak. Men who are confident and strong without polishing their ego. Men who truly have something to give. As I am working on becoming one of those, I hope my children will copy and follow me into a more peaceful future. Categories: Parenting and Empathic Fathers, Society | Tags: attachment parenting, authentic dad, empathy, fathers, gentle parenting, gentle sons, new fathers, peaceful parenting, raising boys, raising gentle boys, Torsten Klaus, unconditional parenting | Permalink.